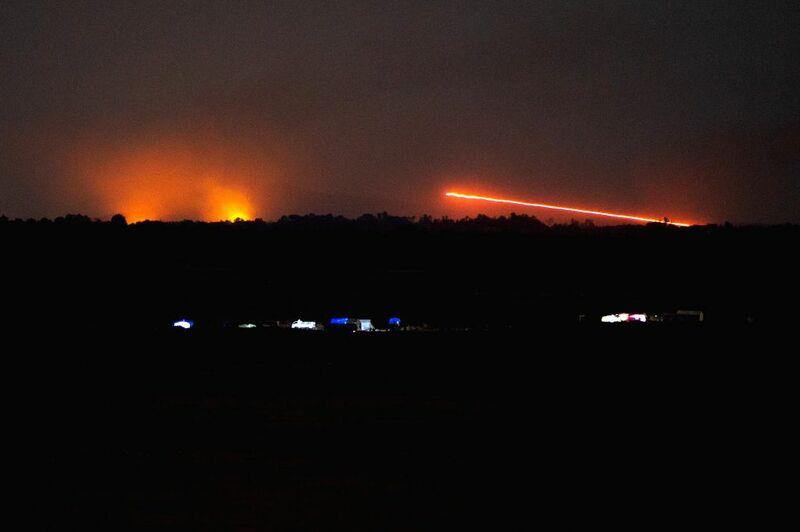 GOLAN HEIGHTS, July 24, 2018 - Photo taken on July 24, 2018 from the Israeli-occupied Golan Heights shows an explosion on the Syrian side near the ceasefire line between Syria and Israel. 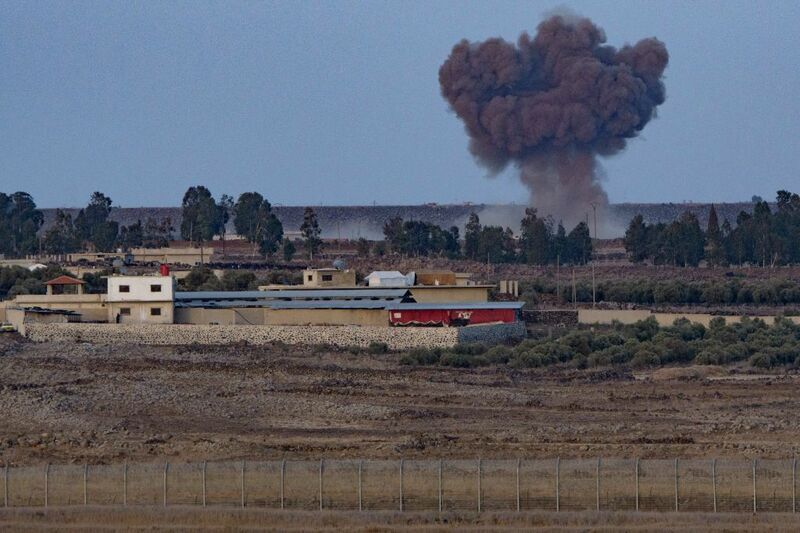 Israel targeted a Syrian warplane on Tuesday, leaving a pilot killed and another missing, a monitor group reported. The Israeli air defenses fired two missiles toward the warplane, which was striking rebel positions in southern Syria, and destroyed it, the Syrian Observatory for Human Rights said. 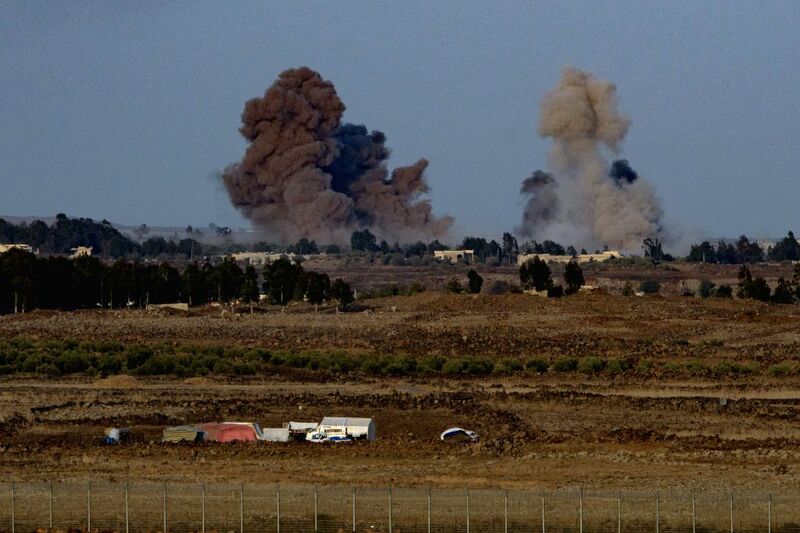 Photo taken on July 24, 2018 from the Israeli-occupied Golan Heights shows explosions on the Syrian side near the ceasefire line between Syria and Israel.